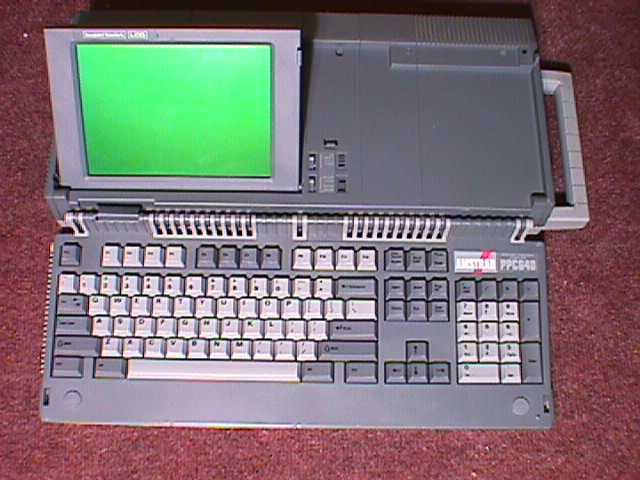 The Amstrad PPC-640 is one of the wackier attempts at an early MS-DOS laptop. It has an amazingly engineered "piano-hinge" folding keyboard (visible in the photo at the top of the keyboard), and a folding CGA display. It actually runs on regular "D" cell alkaline batteries. There was an optional external monitor available that also ran off the batteries. I imagine that would cost quite a bit over time.